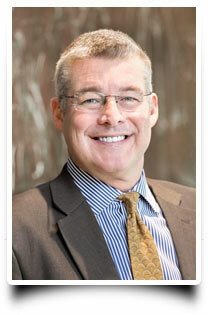 Stephen G. Forster is President and Chief Executive Officer of American Pathway Regional Center (“APRC”). Mr. Forster leads the EB-5 regional center’s efforts in sourcing new projects and establishing foreign relationships. Formerly of CanAm Enterprises. Mr. Forster has spent the last two years working throughout China raising capital for EB-5 projects in the United States. As Managing Director of Business Development for CanAm Enterprises, Mr. Forster was responsible for sourcing new construction and business expansion projects and providing EB-5 financing to those projects as a source of job-creating capital. He also established and grew two China-based offices, hired and trained China-based staff members, developed and maintained relationships with China-based sales agents and introduced projects to Chinese investors. Prior to CanAm, Mr. Forster spent 10 years as Senior Vice President of Public Finance and Government Relations at O’Neill Properties, a King of Prussia-based privately-held brownfields redeveloper and was responsible for regional land development initiatives, including obtaining entitlements and financing all phases of the project pipeline. Mr. Forster also managed all aspects of the company’s EB-5 initiatives and coordinated government relations. During his tenure, Mr. Forster placed over $300 million in grants and loans for acquisition, site work and remediation, construction and permanent financing. Mr. Forster holds a B.A. in Political Science from California State University—Long Beach and a J.D. from Golden Gate University School of Law in San Francisco. Mr. Forster is also an attorney, admitted to the California State Bar in 1994. Earlier in his career, Mr. Forster served as Associate General Counsel for HOPE worldwide, a social service non-profit organization based in Wayne, Pennsylvania.